Get a Grip on Playtime.™ Oball has done it again! A dump truck made of that one-of-a-kind grippable, signature material from Oball that's easy to pick up and impossible to put down. 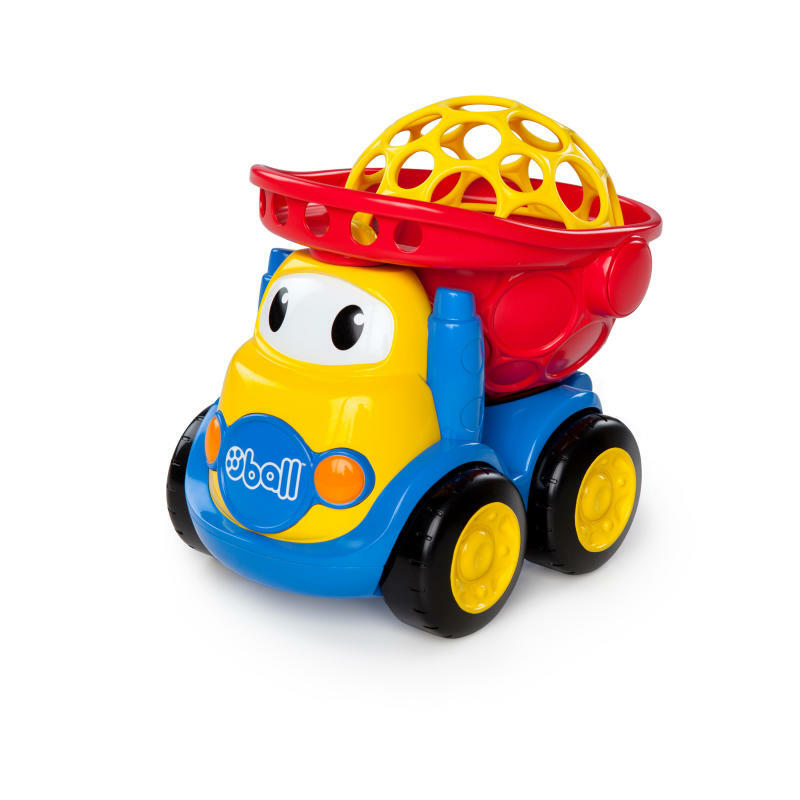 The Go Grippers™ Dump Truck has an Oball cover that opens and closes and makes it fun to transport toys under the Oball dome. The truck bed locks so baby can lock little fingers in the holes and carry it around. Tires make it roll with ease and this little dump truck will carry your child's imagination to new heights! Dimension (in) 10" x 7.35" x 8.8"